A few months ago, Rev. Laura had the pleasure of performing a ceremony for a friend and fellow local wedding professional, Ashley of Ashley Michelle Photography! In addition to being an overall awesome person and being an amazing photographer, Ashley also blogged her entire wedding planning process on the wedding blog for Baltimore Magazine: Hitched. 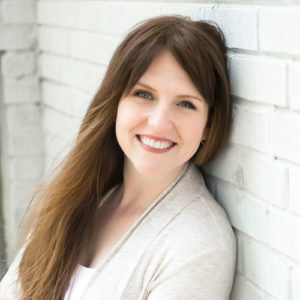 We just loved following along as she planned the wedding and shared the details, and she wrote a great post about what it was like working with Rev. Laura for her special day. Thanks, Ashley! We’re so honored that Ceremony Officiants™ was named the winner of the Wedding Industry Experts Awards for the second year in a row! 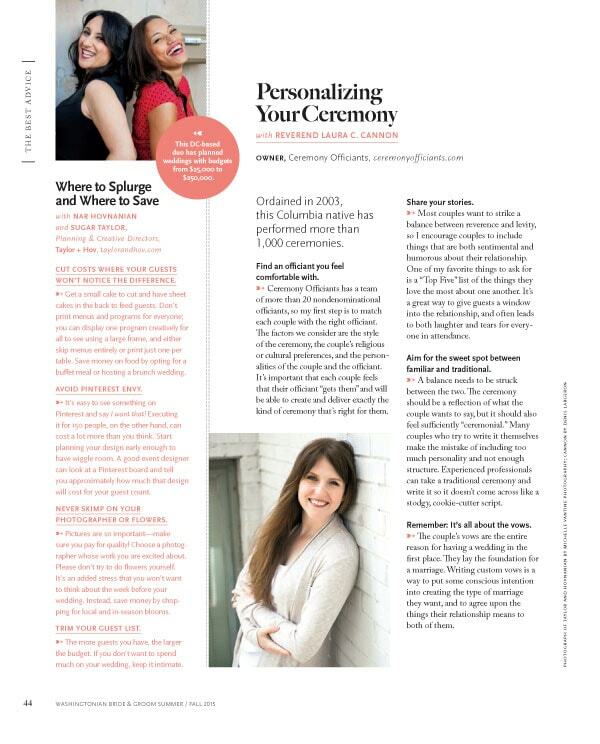 It’s been an exciting few weeks here at Ceremony Officiants™! 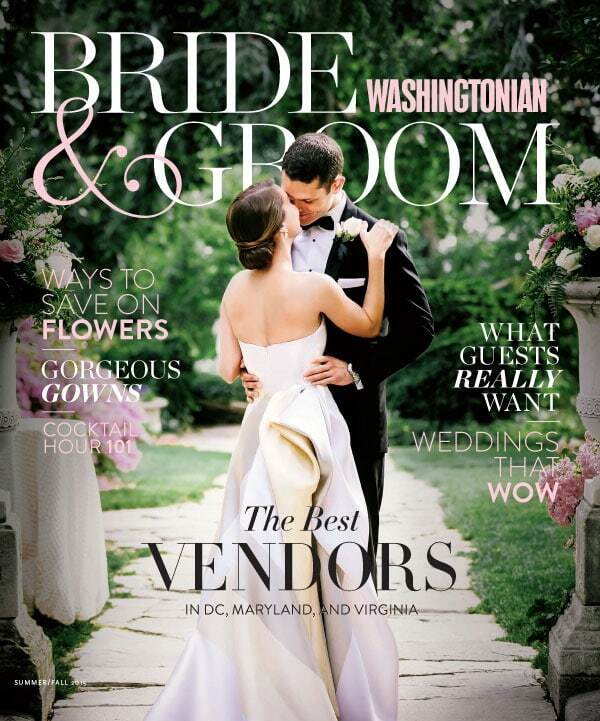 Washingtonian Bride & Groom magazine recently interviewed Rev. Laura for their “Ask the Experts” feature, which has been published in the Summer/Fall issue. Check out the interview using the links below! 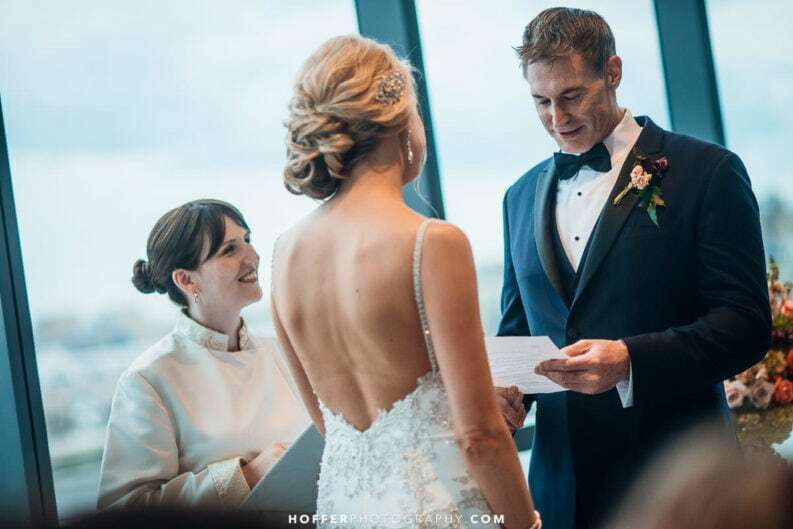 We got an early Christmas present this year when we were happily surprised to see Allison and Tom’s vow renewal ceremony featured on Style Me Pretty! These great photos by Liz & Ryan really captured the joy that day, you can see more photos on the Style Me Pretty blog here. This was such a fun event to be a part of, vow renewals are always a blast! Congratulations again to Allison and Tom, you can check out more of Liz & Ryan’s photos here!